The annual Summer Street Fair returns this year on Saturday, June 8th! Are you ready?! Vendors and classic car sign-up applications are available NOW! 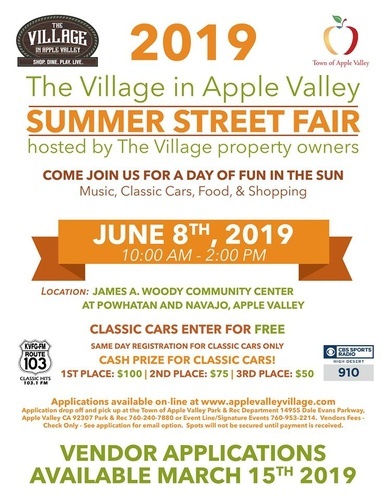 Visit www.applevalleyvillage.com to download your application today!